My aim is to be as cost effective as I possibly can, obviously paying for the essentials, staff, vehicles, stock, utility bills and so on, but be priced fairly for the families that entrust us, and to be able to present people's loved ones in very pleasant surroundings, with a nice office/arrangement room, a very homely Chapel of Rest, modern Cool Restroom, all being downstairs, and we have another Arrangement room upstairs. Riverside is a grade two listed building, which is in a wonderful location, with the River Welland actually on it's back doorstep, and the front door opening onto Double Street, in Spalding. We are just past The Lincolnshire Poacher Public House, approximately 200 yards on the right. I am a very particular person, rather regimental when it comes to my funerals. Everything has to be just so, precise, in place, perfect. I have been the office Manager/Arranger and Funeral Director for F. E. Walton & Son's of Long Sutton, and I have worked for Dignity Funerals Ltd, who actually own F. E. Walton & Son's, for just over seven years. Before that I worked for an Independent Funeral Director in Ripley, Derbyshire, ( Archway Funeral Services ) owned by Mr Terry Daniel, whom I can only thank a million times, for teaching me, and instilling into me, his very high standards. I brought his standards with me to F. E. Walton & Son, and worked rigorously in keeping and developing his and my standards even further. Now I have my own family business, consisting of myself, my wife and my daughter, standards are our priority. I always do everything possible, in helping all my bereaved families, as they travel down this very sad path, easing their journey through very painful times, in their need for friendly, strong helping hands, with good information, and the ability to understand their every need. I find it essential, to befriend all my families, and not treat them as though they are just another client of just another funeral firm. I do befriend all the families that I have looked after, with their permission of course, and relating to their responses towards me. I treat their loved one as though he or she were my own, that way I know I cannot go wrong. I myself have lost both my parents now, so I always put myself in the same situation as my families, feeling their need and despair, their pain and their sorrow. I am very passionate in doing this kind of work, and I care very deeply for my bereaved families, in my opinion, you have to be a very special kind of person, with an understanding and respect for others, that must not falter. and I will answer any questions that are concerning you. For some arriving in style is their way of a final goodbye. For others just a private, simple and quiet service at one of the Crematoriums, maybe that is just what your loved one would have wanted. The Paulownia, Carlton Coffin, above, is one of our basic coffins. 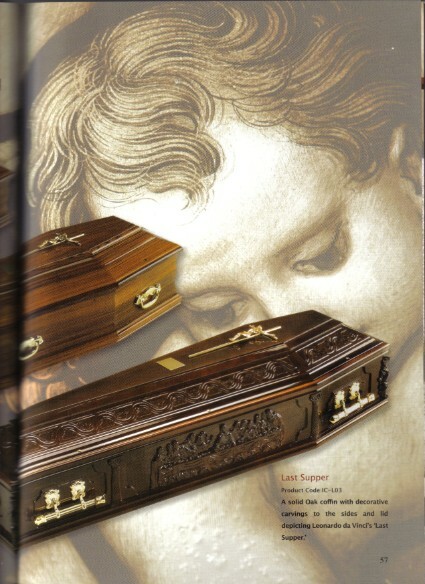 We have a formidable choice of coffins, beautifully crafted and presented. 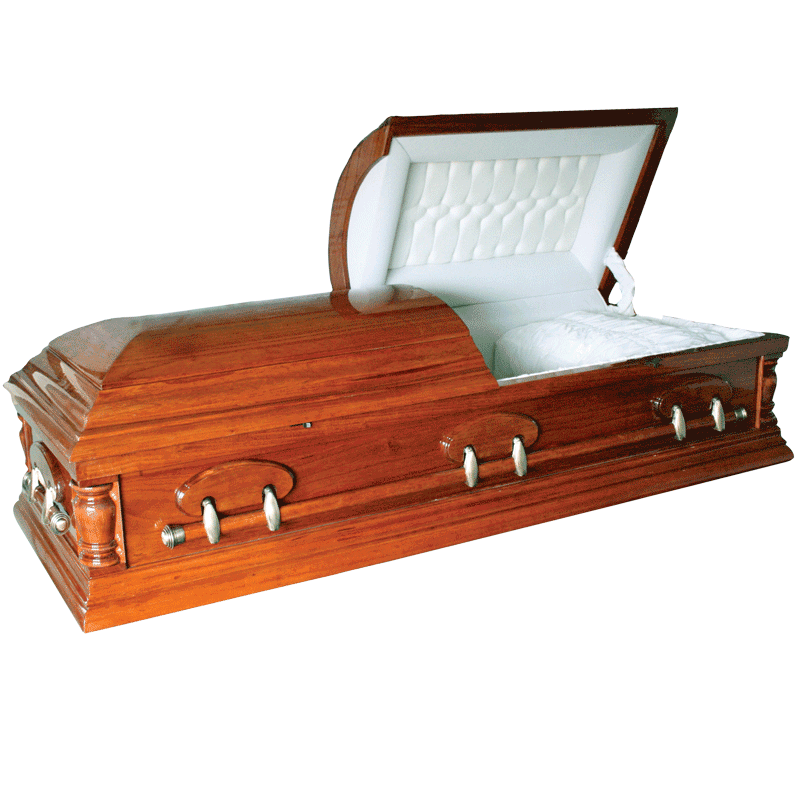 There are more coffins for you to view on the following pages. Above are two of our Italian Coffins. 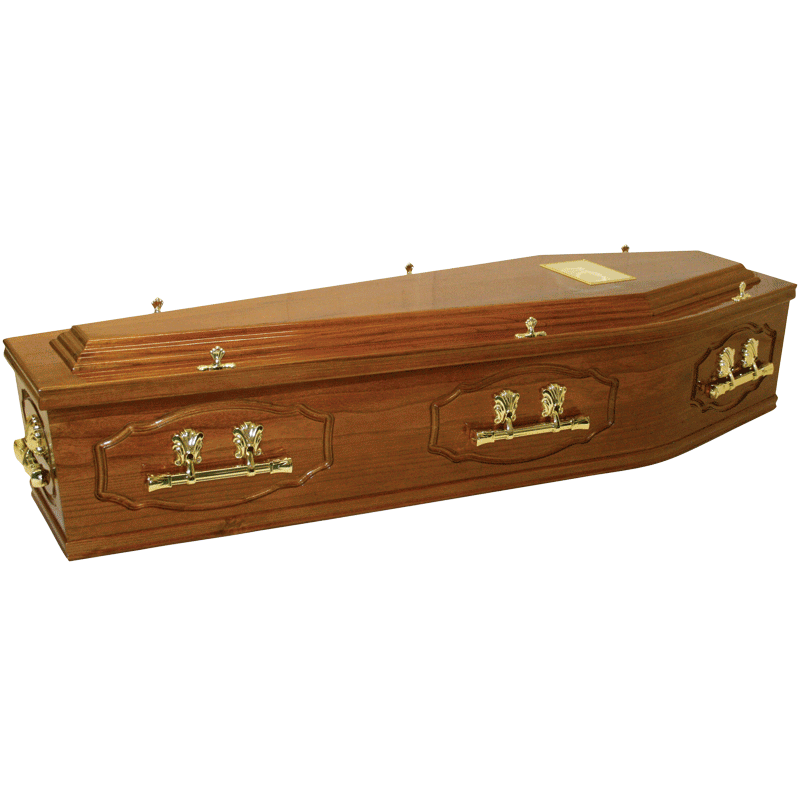 This above is our beautiful Regent Casket, It is a considered price, but what a beautiful piece of craftsmanship.